I'm looking for one more pedal for my board. 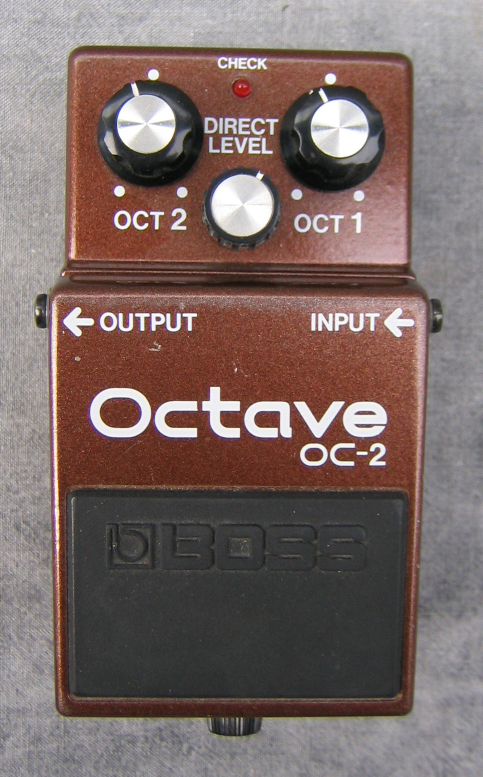 Octave pedal. Aiming for that super low dub sound. Its gonna be used with an FM4, Big Muff and Guv'nor. Anyone got any ideas for suitable pedals? Pref not massivly expensive..
Or if anyone has anything they want rid of, let me know! Digitech Whammy 2 115... it's fate. I have a Boss OC-2 you can have for 30. I cant fit a whammy on my board now. It was to big im afraid. Thanks anyway. the boss oc3 works well with bass. it has some cool features on it and the octave tracks well. I used to use an EBS Octabass. It was really good and most importantly tracked really fast! I too support the Boss OC3. I use one myself with a Big Muff & it sounds sick. Also has seperate bass & guitar ins and polyphony, which I understand is rare and special. Well, it is to me. Anyone know what the difference between an OC2 and OC3 is? OC3 is polyphonic and has a 'drive' setting - OC2 is not and does not. That's the main difference.